What is a bath chair? 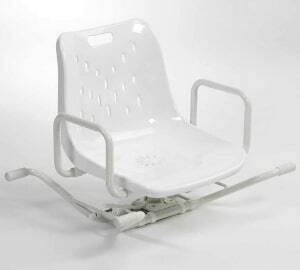 A bath chair is a water-resistant seat used to assist people who can’t stand in showers or tubs. 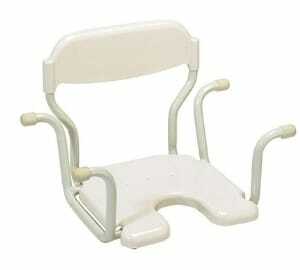 It is also called a tub seat or a tub chair and it is made of metal, plastic or a combination of both. It has a backrest so it is almost similar to a regular chair in terms of size and shape. This seat is slip resistant so you can’t slip and hall whilst taking a bath. The seat features rubber feet (suction cut-like feet) for maximum safety. Bath chairs are designed to give you a place to rest when taking a bath. Some models have the ability to help you get in or out of the bathtub with much ease. Who would use a bath chair? Bath chairs are meant for people who cannot stand for long periods of time or those who can’t step over the bathtub wall. 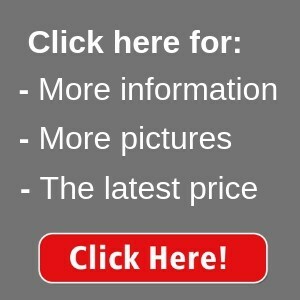 They are also ideal for the disabled, the elderly, the handicapped or even those that are injured. 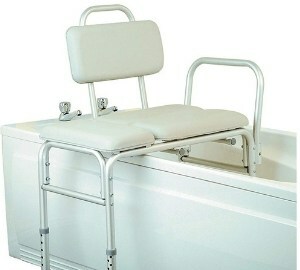 People who have recently had hip or knee replacement can also use a bath chair. How much does a bath chair typically cost? The cost of a bath chair depends on several factors. Durable bath chairs are usually the most expensive of all. The quality of the bath chair, its mode, size and the material which it is made out of are some the factors that affect the overall price of a bath chair. 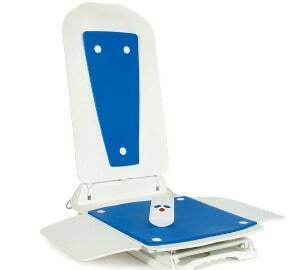 Small bath chairs typically cost around £22 while bigger ones cost around £35.99. 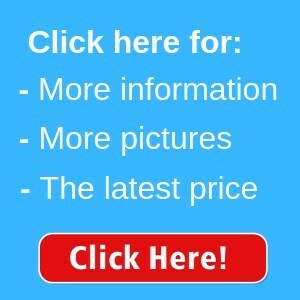 Therefore, most prices will range between £22-£35.99. The cheapest ones are a bit basic while the more expensive ones are fancier. There is a free four-year warranty on your actuator, handset, and charger. Its handset uses lithium-ion technology for fast charging. It is lightweight and easy to dismantle. It has an extremely stable base plate that is skin-friendly and non-slip. It has a low seat travel of 6cm from the bottom of the bath. This gives it better water immersion. It fits all standard tubs and corner baths. It has a powerful suction cup that is made of a lightweight but strong aluminium tube frame. 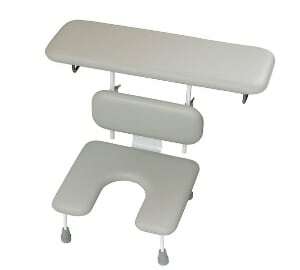 It has a reversible handle that can be placed on either side of the transfer bench to accommodate all users. 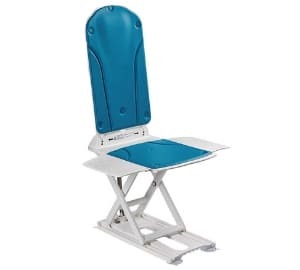 It has blue covers and includes a Bathmaster Deltis Bathlift a and floating remote. It is made of high-quality materials and does not require servicing. The plastic also makes it very easy to clean. 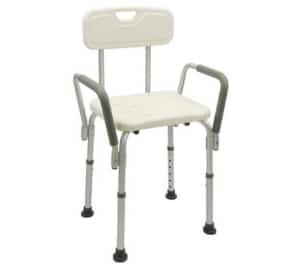 This shower chair is adjustable in height and has anti-slip armrests. It has an aluminium structure of 1.25 mm thickness. Its height can be adjusted in 6 positions. Its base and back are in polyethylene plastic. This bath seat offers a place to sit and rest while in the bath. Its backrest is in size 470 x 150mm and offers additional support. The seat is included with tools that make it very easy to assemble. The seat is suspended above the tub and has a cut out that facilitayes easy personal cleaning. Its handset uses lithium-ion technology for fast charging. This chair is light and easy to dismantle. It can be folded into 2 main components. It has a low seat travel of 6cm that gives greater water immersion. It has the new Silverline antibacterial technology. This entails the bath lift plastic releasing silver ions when in contact with water. This in turn prevents prevents infections from germs and pathogens. It comes with a free 4-year warranty on your actuator, handset,and charger. It has a handset that uses lithium-ion technology for fast charging. Its low seat travel gives greater water immersion. The chair can fit on all standard tubs and corner baths. It comes with free antibacterial covers. The covers are blue in colour. There is no universal bath chair for everyone. This is because people differ in height, weight and other physical needs. A good bath chair is one that suits you well. 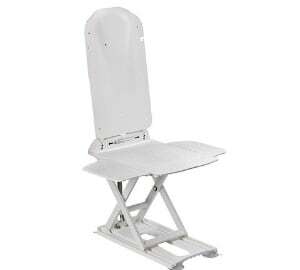 One of the factors you should look out for when getting a bath chair is its height. A good bath chair should have the perfect height. Consider checking how far the chair can adjust before purchasing one. Here is a video that shows you some of the best bath chairs. The chair should also be wide enough to extend over your bath tub’s front wall. The seating style will also determine how comfortable you’ll be. For security, check whether the seat is stable. 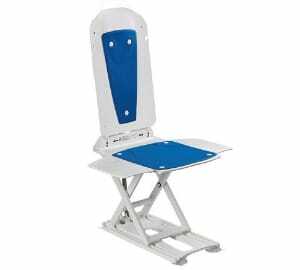 A good bath chair should be stable to prevent its user from falling. Look for a chair that is compatible with the height and width of your tub wall. It should also be compatible with the width of your tub floor. You should also check whether it has padding. These prevent skin tears and pressure sores.